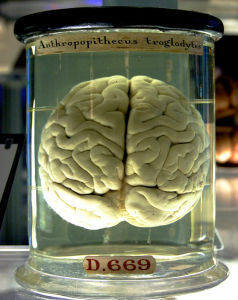 A chimpanzee Brain in a jar. 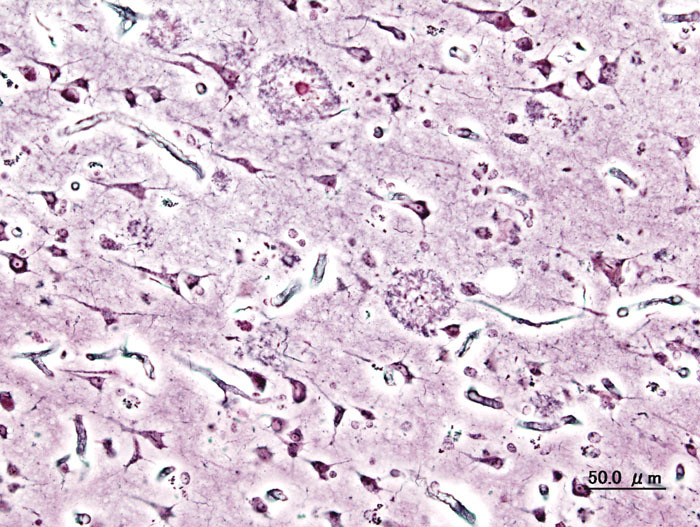 Alzheimer’s disease presents with plaques and tangles in the brain, the plaques being clumps of a protein fragment, beta-amyloid, and the tangles being misshaped ‘tau’ proteins. These can be present in people and yet the individual does not show signs of dementia. Thirty percent of people over age 70 have elevated beta-amyloid but are cognitively normal. Neurofibrillary tangles damage neurons and synapses, disrupting the architecture of the brain. It may take more than 10 years before amyloid deposition begins and symptoms of dementia start. Damaged blood vessels in the form of small strokes add on to the problem of dementia. Some 20 percent of the elderly have had ‘silent’ strokes and do not have any knowledge of it. These small strokes further the destruction of the brain’s architecture, leading to vascular dementia. Risk factors for vascular damage include smoking, high blood pressure, and diabetes. High blood pressure is a huge risk factor for later cognitive impairment. Why? Small strokes cut off blood flow to brain tissue due to uncontrolled blood pressure and diabetes, destroying brain architecture and function. On an MRI, bright white matter areas of hyper-intensities represent areas of damage, in which neurons cannot connect well with one another. Patients with uncontrolled blood pressure tend to have more hyper-intensities, representing compromised brain functioning. Control your diabetes and sugar intake. Type 2 diabetes in a strong risk factor for dementia. People with this problem are insulin resistant, mostly due to obesity. High levels of insulin in the blood correlate with more rapid cognitive decline, possibly due to less brain insulin as a result of decreased receptors for insulin in the blood-brain barrier. This results in less insulin entry into the brain. Insulin may help clear the toxic beta-amyloid from the brain. Insulin receptors in the brain seem to localize in areas that are important for the formation of new memories. When the receptors decrease, memory seems to get impaired. Intranasal insulin may have a positive effect on cognitive abilities in patients with memory impairment, but studies are ongoing. What to do: Lose weight and exercise more. Evidence from studies show that patients who had a diet low in saturated fats and carbohydrates with a low glycemic index had lower beta-amyloid levels in the brain CSF, which surrounds and bathes the brain) So eat less saturated fats and sugars! Exercise! Executive functioning (the ability to plan and make decisions, correct errors, and respond to new information) is improved by exercise. Executive functioning is lost in cognitive impairment and Alzheimer’s disease. People who move and exercise, especially over their lifetime, have a lower risk of dementia. Sedentary people have less blood flow to the distant blood vessels in their brain and that makes them vulnerable. Exercise may expand brain volume and protect blood vessels in the brain. It helps with stress, insulin levels, and many other parameters in good ways. Keep your brain active! People who are involved with mentally stimulating activities, like reading, going to classes, playing games) have a lower risk of dementia. This cognitive reserve may protect against the onset of symptoms. Caffeine may protect your brain! There is evidence that up to 500 mg of caffeine a day was helpful in preservation of memory. Caffeine may reduce amyloid burden. Blueberries and strawberries may reduce memory decline. Aim for at least one serving of blueberries a week and two of strawberries. Increase the amount of fish in your diet! Dark-meat fish, such as swordfish, salmon, mackerel, sardines,) are excellent in certain measures of cognition. Omega-3 fats alone (which are present in high amounts in fish) have not been shown to help dementia. Avoid sleep restriction! Get plenty of sleep! Sleep seems to expand the area between brain cells making it easier to clear beta-amyloid and toxins from the brain, sleep disruption impairs this capability. DASH diet: A healthy diet that includes fruit, vegetables, fiber, low sugar content, and low saturated fat, helps with blood pressure and overall health. The American Heart Association recognizes this diet as being effective in a number of health scores. Consider the Mediterranean Diet. More on this diet later. Antioxidant vitamins, such as vitamin E/C/beta-carotene, B vitamins, phosphatidyl serine, ginkgo, huperzin-A, and other supplements have been found to be ineffective in preventing memory decline and dementia. Insane Medicine – Plaques in the brain – what a pain! Insane Medicine – Chikungunya Virus Gone viral – The arthritis virus in the Caribbean! 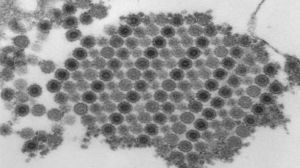 Chikungunya Virus at elcetron microscope magnification levels. Chikungunya Virus was first found inTanzania in 1952. It is an RNA virus of the alphavirus genus and the Togaviridae family. It is primarily found in Western Africa, similiar to where ebola is currently found this year. It is endemic in West Africa, but in 2103, it was found in the Caribbean, including St. Martin and Puerto Rico. 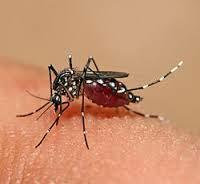 Two mosquitos, Aedes aegypti and Aedes albopictus (African tiger mosquito) are the mosquito vectors for the disease. The Aedes albopictus mosquito can carry Yellow fever and Dengue fever as well as Chikungya. The initial fever lasts 7-10 days and there may be swelling if the fingers and toes. In severe cases, a person can get an inflamed heart muscle, known as myocarditis and kidney failure. Similar viruses include O’nyong-Onong (Central Africa), Baima-Ross River virus, Semili Virus, Mayaro virus (South America), and the Sindbis group virus. All of them cause severe arthritis. Treatment – supportive care only, Fluids and pain management are cornerstone to treatment. There is no vaccine currently available. The best treatment is prevention – prevent mosquito bites by wearing long clothes and lots of bug spray! If you are traveling to the Carribbean, be certain to wear bug spray to prevent infection. Irritable Bowel Syndrome and new dietary management for it! Zofran for IBS with diarrhea symptoms! 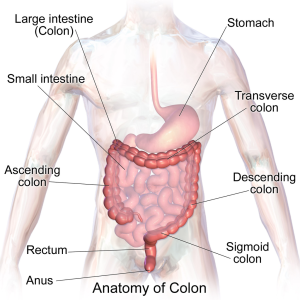 Irritable Bowel Syndrome (IBS) affects a lot of people with low abdominal discomfort and bloating, diarrhea, and/or constipation.The disease is chronic and relapsing. It is, in part, a result of malabsorbed carbohydrates that are fermented by gut bacteria to produce gas. FODMAPS (fermentable oligo-saccharides/disaccharides/monosaccharides/and polyols) are believed to be a major cause of bloating and abdominal cramping symptoms in IBS patients. FODMAPS are carbohydrates found in our diets.Many people who perceive that they have Gluten intolerance (celiac disease) in fact have FODMAP intolerance. FODMAPS include fructose, lactose, fructans (in wheat), galactans, and polyolo sweeteners. 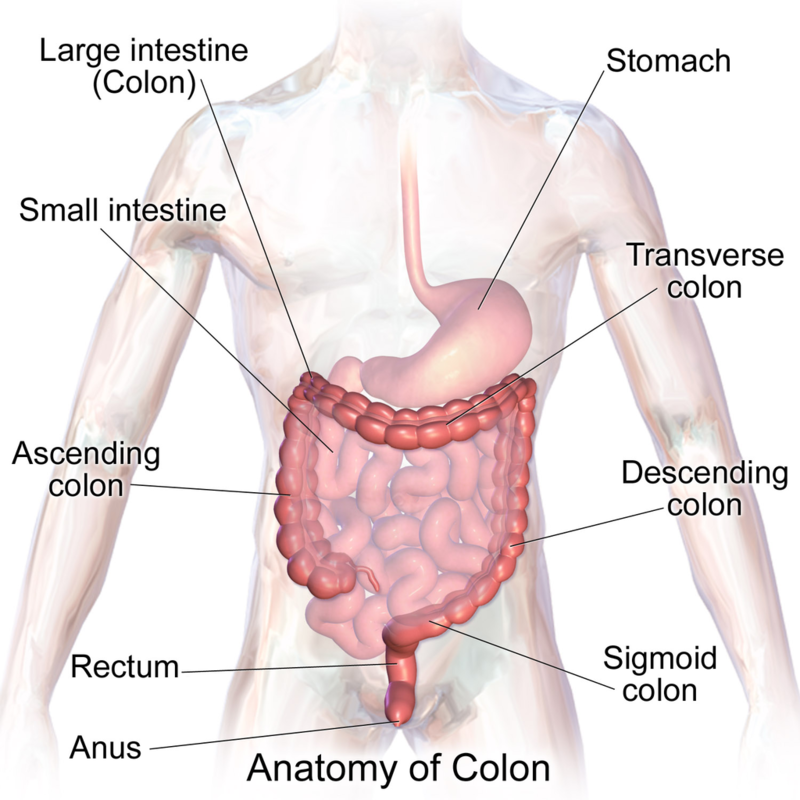 FODMAPS are not absorbed in the small intestine and pass to the large intestine where they get broken down by bacteria in the gut, forming gas. Sugar alcohols (polyols) such as sorbitol, mannitol, xylitol and maltitol are present in many food products and are FODMAPS. They are found in artificial sweeteners, as well as many fruits, such as apples, cherries, peaches, and a wide range of fruit. 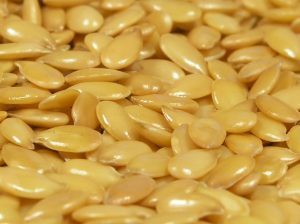 Fructans (Fructose) are present in wheat, rye, barley, onions, and many other vegetables. A recent study in the journal, Gastroenterology, demonstrated that FODMAPS are the primary cause of abdominal cramping and IBS symptoms, not gluten intolerance. Changing ones diet to avoid FODMAPS helped many patients with IBS symptoms. Cheeses have lactose, a FODMAP, but hard cheeses, such as brie and camembert or feta cheese are lower in lactose than cream cheese or ricotta cheeses. Garlic and onions are high in fructans ( a FODMAP), so avoid too much of them. These are frequently added to oil-based sauces and condiments and increase the FODMAP levels. Some flours have lower amounts of FODMAPS, such as spel or oats, whereas wheat and rye are high. Fruits have variable amounts of FODMAPS, but drying may concentrate them even more. A recent study demonstrated the use of Ondansetron, a 5- hydroxytryptamine-3 receptor antagonist, as being effective for irritable bowel symptoms if the person has diarrhea-type symptoms primarily. Ondansetron is an anti-emetic agent and was found to increase stool consistency, decrease urgency and bloating, and decrease the number of bowel movements in patient with diarrhea caused by IBS. So, if you suffer from irritable bowel syndrome, consider consulting a dietician and trying a low FODMAP diet, as opposed to a gluten-free, celiac-type diet. You might not have gluten-intolerance!! There is more evidence that Green Tea improves your working memory. It improves the short term plasticity of the brain and reduces oxidative stress. Green tea has a polyphenol compound (Epigallocatechin-3-gallate) that works against Alzheimer’s plaques and helps improve memory. We will see , over time, if the use of green tea has any positive effect in Alzheimer’s. Niacin seems to be very unhelpful as a supplement for low HDL! If you have been taking niacin to help your HDL, there is more and more evidence that it may be hurting you! Besides the red flushing it can cause if taken in large amounts that is needed to help increase HDL levels, it also can cause liver damage. In the AIM-HIGH study in 2011, no benefits were found from Niacin supplementation, and in fact there were increased side effects, including bleeding risks. I think it’s time to throw out the Niacin supplements and not worry so much about an isolated HDL problem. Low HDL is probably a symptom of another lipid and metabolic problem. Toenail problems? New solutions for fungal nails! Risk factors for the problem include swimming, athlete’s foot, diabetes, genetics, and living with family members who have the disease. Besides being unsightly, the nails can be difficult to cut and also can increase the risk of bacterial infection. Pain can be an issue as well, as nails can become sensitive to pressure. Yeasts, like Candida Albicans, can also cause some cases of nail fungus, especially on the hands. People who immerse their hands in water a lot are at risk. As a result of these infections, the nails get thickened, discolored, with crazy shapes and debris under the nail. Two recent approved topical therapies that appear to have excellent effectiveness have come to the market. Efinaconazole (Jublia) topical solution is another new arrival to treat the standard nail infections caused by T. Rubrum/T. Mentagrophytes. It is a topical triazole that blocks the fungus from producing it’s cell membrane. Applied at a drop a day to the affected nail for 52 weeks, 40% had mycological cure with minimal side effects, but at a cost of $450 a month. Oral treatments that are mainstay include Terbinafine (Lamisil) daily for 12 weeks and itraconazole daily for three months. Their effectiveness is about 30%-40% with more side effects. Alternative therapies with some possible efficacy include applying Vicks Vapor rub (a mixture of menthol, eucalyptus oil, camphor, and thymol) to the nails every day for up to a year. This has worked well for quite a few people. Tea tree oil is another alternative topical therapy with unproven results. Still, oral therapies are still the best options as of yet. Oral Lamisil (terbinafine) cures 40% to 60% of patients…compared to less than 9% for Penlac (ciclopirox) and 11% for clotrimazole 1% topical solutions (less effective topical agents also on the market). Key preventative measures include wearing flip-flops around a shared shower or pool, wash and dry feet thoroughly every day , do not clip your nails too low to the base, and avoid nail polish. The Mediterranean diet has scientific evidence of its efficacy in preventing heart attacks. There are several foods that play a large role in decreasing the inflammation in the body that leads to plaque build-up. Extra Virgin Olive Oil (EVOO) is produced from olives and is rich in polyphenols that have anti-oxidant and anti inflammatory effects. It also has omega-3s and flavenoids, which are cardioprotective. 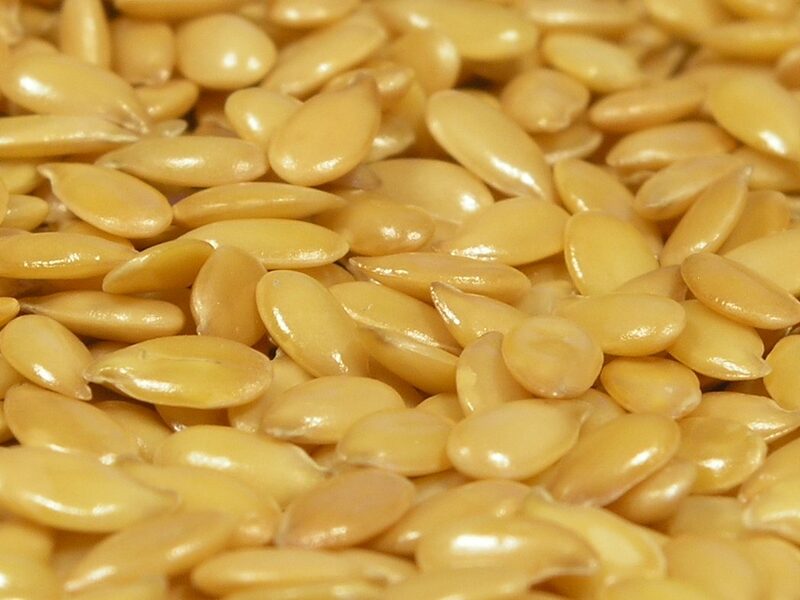 It has a high content of monounsaturated fatty acids, which can decrease your LDL levels (bad cholesterol), and this is cardioprotective as well. EVOO can be cooked up to a temperature of 410 degrees F, so it can be used in most recipes. For higher temperatures, use regular olive oil. There are about 120 calories per teaspoon, so be careful how much is used! Compounds in EVOO include polyphenols (hydroxytyrosol, tyrosol, oleupein) and monounsaturated fats. Salmon and fatty fish such as halibut and sardines contain heart-healthy omega-3 fats. These lower triglycerides in your blood and stabilize plaques. The Omega-3 fatty acids are EPA (eicosapentanoic acid) and DHA (decosahexanoic acid). Red wine – is loaded with flavenoids and the antioxidant resveratrol. A glass of wine a day keeps the doctor away! Lentils and legumes – including beans and peas, have an abundance of minerals and vitamins and fiber, which lowers cholesterol. You can use soymilk to supply your daily dose of legumes in place of cow’s milk. 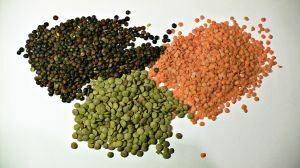 Present in legumes are flavenoids (quercetin, anthocyanins) and isoflavones (genistein and daidzein), fiber, and phenolic acids (ferulic acid), all of which prevent artery plaque build up and inflammation. Walnuts and flaxseeds – have a lot of alpha linoleic acid, a vegetarian omega 3 fat and fiber as well. Flaxseeds can be added to baked goods and pancakes to increase their fiber content and flavor. Greens and vegetables – including spinach, a very nutrient- dense vegetable, and red-purple colored vegetables such as radicchio, eggplant, and red beets all contain pigments that increase glutathione in our system, a natural antioxidant.You want to mix many different colored vegetables into your diet every day. Dark Chocolate and green tea – lowers blood pressure and cholesterol. Green tea is rich in antioxidants, especially polyphenols. Figs and fruits – dried fruits, pureed fruits – all are healthy, aim for three servings a day. They are high in polyphenol flavenoids and vitamins. Oatmeal and other whole grains – Oats are filled with soluble fiber ( a beta-glucan) that soaks up cholesterol. They are also high in antioxidants. Alzheimer’s Disease – new screening tests in the near future? 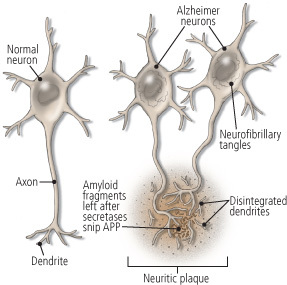 Alzheimer’s disease – neurons affected by plaques. 5 million people are affected by Alzheimer’s Disease (A.D.) in the U.S., with a 1% incidence in the age group of 60-70 and 6-8% in the 85 year old category. It is a progressive disease leading to eventual functional incapacity. There is a resulting loss of retention of recent memories at first with a progression to loss of remote memories in later stages. Language, abstract reasoning, and executive or decision making functions are impaired. Patients become household and work impaired. Some become delusional or psychotic. 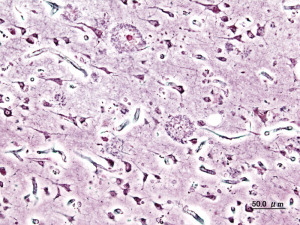 This disease is the result of hyperphosphorylated Tau proteins that form neurofibrillary tangles inside the neurons. 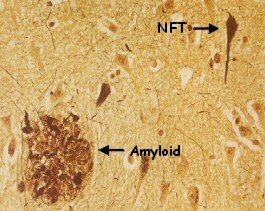 Also there are plaques of beta-amyloid that deposit in the brain, disrupting neuronal function. Family history plays a role in the disease, with an individual having twice the average risk of disease if a first degree relative has Alzheimer’s. Genetic changes, such as the presence of Apolipoprotein E4 mutation, increases the risk of A.D. by 2-5 times average risk by the age of 60-80. Other causes of dementia must be ruled out before Alzheimer’s Disease is diagnosed. Reversible causes especially must be looked for, such as B12 deficiency, infections such as syphilis, thyroid disorders, autoimmune disorders, medication side effects, and drug abuse, especially alcohol. A.D. results in difficulty in performing sequential tasks with poor decision-making skills eventually. This results in an at-risk population of elders, who are easy prey for con-artists looking to make money off impaired individuals. Neuropsychiatric testing can help determine a person’s capabilities. Cedar-Sinai Medical Center is developing a retinal imaging device that may identify A.D. 15-20 years earlier than other tests, such as PET scanning. Using curcumin, a compound found in the spice Tumeric, researchers discovered that the curcumin bound the Alzheimer’s plaques and could be seen in the retina. This resulted in 100% detection of the disease. Some people without the disease, however, tested positive with this testing. Another retinal test is being evaluated by the Banner Alzheimer’s Institute using Fluorescent Ligand Eye Scanning (FLES). Researchers could detect beta-amyloid in the retinas of A.D. patient 85 % of the time. Such retinal scans will allow for earlier detection of A.D. There is no specific treatment for Alzheimer’s Disease, so there are a lot of ethical considerations that need to be evaluated in performing such tests. However, earlier detection may allow an individual to protect their financial and personal well-being from poor decision-making by allowing specified power-of-attorneys to help make decisions when executive functioning starts to fail. Other A.D. findings: Recently, a new protein, TDP-43, also seen in Amyotrophic Lateral Sclerosis (Lou Gehrig’s Disease) ,has been associated with A.D. Additionally, A.D. patient can be screened for impairment through an inability of smell detection as well, using a 40-item smell detection test, called the University of Pennsylvania Smell identification Test. Ebola has continued to spread in West Africa, infecting over 4500 people through September 2014, with 2300 deaths. The average mortality rate has been 70% with this infection. This epidemic is the Zaire Ebola virus. There are several other sub-types of Ebola. 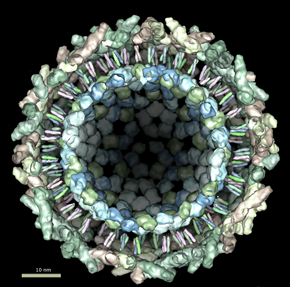 It is an RNA virus of the filovirus family. It’s reservoir is the fruit bat and is spread among humans by direct contact with body fluid or the consumption of infected food or plants contaminated with bat droppings. This epidemic started in Guinea in march. 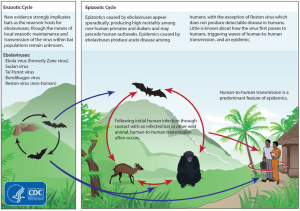 Humans, apes, certain mammals, and potentially rodents can get Ebola. There is no specific treatment as of yet, various interventions have been tried, but the main treatment is isolation of the individual, intravenous fluids, hydration, management of electrolyte issues, and prevent co-infection from bacteria. According to a CDC prediction tool recently released, if current conditions persist, the cases will double every 20 days up to 20,000 infected by early November. 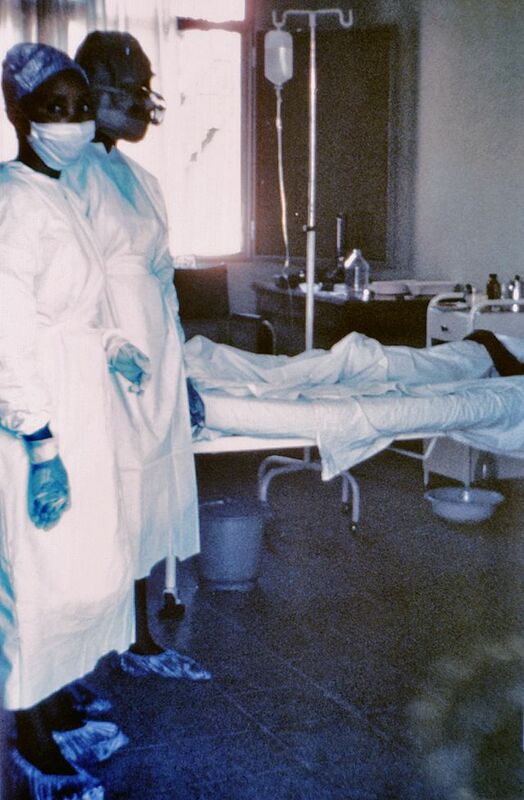 This can be prevented by isolating at least 70% of the infected patients in specialty Ebola units. The more delay there is in obtaining this critical isolation and treatment number, the more likely infection rates will increase. The CDC still predicts that the epidemic will end even if counter-measures are delayed, it will just result in more deaths. Ebola virus infection isolation and treatment is needed to decrease spread. Many health care providers have lost their lives in Africa treating the sick, including researchers, nurses, and doctors. Fear of the disease and customary burial practices have increased the transmission rate and death rates. There are fewer and fewer doctors and nurses available to help stem the infection. Exercising, even a small amount, benefits older adults! Many studies have recognized the importance of exercising, especially in older individuals. Some physical activity is better than none in decreasing mobility issues in the elderly (Journal of American Medical Association – May 2014). Flexibility and balance training, combined with walking, with a goal of 30 minutes at least for a total of 150 minutes a week reduced major health complications from poor mobility. Walking, strength, and balance training decreased muscle loss in the elderly, and a structured physical activity routine is probably a great way to reduce disability in the elderly. You may have wondered why some older people end up never walking again after a brief illness. They are doomed to a bed-bound existence because they suffer from sarcopenia, or muscle loss. That muscle does not come back, hence the need to preserve and maintain the strength one has before illness strikes so they do not lose mobility. You should consult with your doctor before starting an exercise program. Local senior centers or health clubs may have exercise programs for older adults. It is best to have a training partner to give you more motivation to work out. As one ages, it is very important to stay active and maintain what muscle mass that you have. 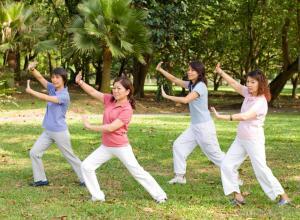 Tai Chi helps maintain balance and muscle strength. Tai chi is a proven method of helping with balance and strength maintenance. It is low-impact, using slow, gentle bodily exercises and can alleviate a variety of physical and mental disorders. 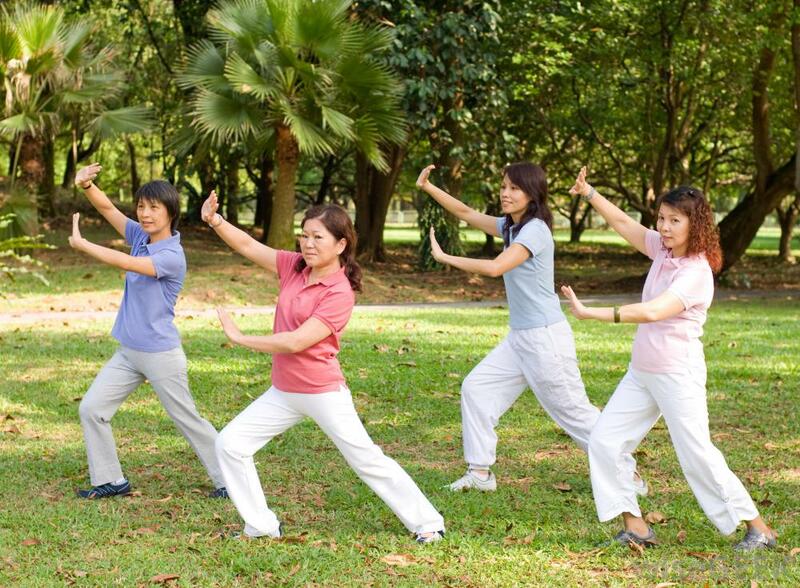 Tai chi is effective in pain reduction, since physical inactivity results in increased pain and muscle mass loss. It is important to maintain flexibility and balance, both of which Tai Chi provides. Studies have shown that Tai Chi reduces the amount of falling in Parkinson’s disease. Tai Chi allows you to manage your stress more effectively. There are a variety of DVD’s available which demonstrate how to practice Tai Chi. Likewise, local resources in your community may offer Tai Chi classes.